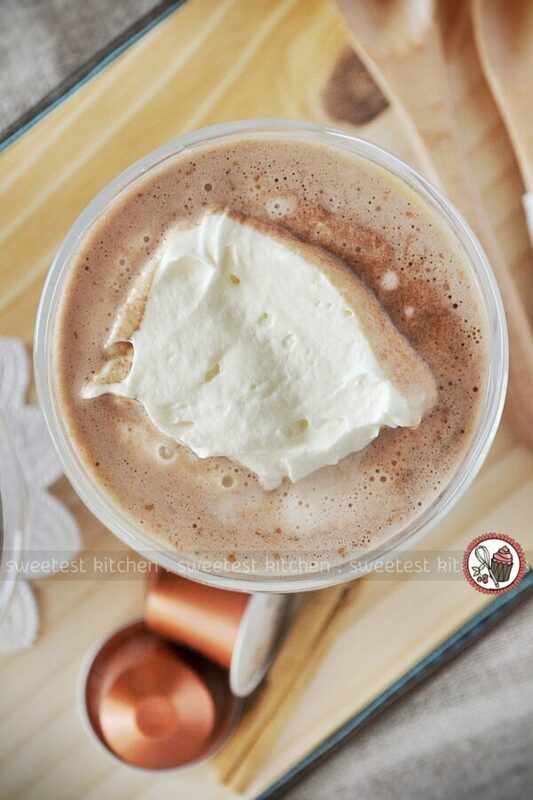 This is a delicious little combination of cinnamon, chocolate, milk and espresso, and of course, whipped cream. You could just enjoy the hot chocolate without the espresso, if you’re not a coffee drinker, but I think it tastes incredible with Nespresso’s limited edition Santander capsules. If you’re just joining me, have a read over this post to find out why I’ve been making recipes with Nespresso’s limited edition Colombian Grand Crus, as well as for a recipe for alfajore ice cream. Or, read this post for a simple recipe on how to make espresso brigadeiros. Hot chocolate is so comforting on a cold, wintry day and only takes a few minutes to create. This recipe simply involves mixing cinnamon-infused milk with some cocoa powder and dark chocolate. Just before serving, extract a 40ml Nespresso capsule into the mug or glass you’ll be using (as seen in the photo above), then top up the mug with hot chocolate and add a good dollop of freshly whipped cream. Heaven!! Imagine wrapping up your hands around a warm mug of this hot chocolate while the cold world goes by. It’s just absolutely indulgent and can transport you from feeling chilly to cozy warm within seconds. I made one glass with espresso, and the other without. The above is with, and the one below is without. The one without espresso is slightly darker in appearance. Yet just as delicious, and perfect for non-coffee drinkers. 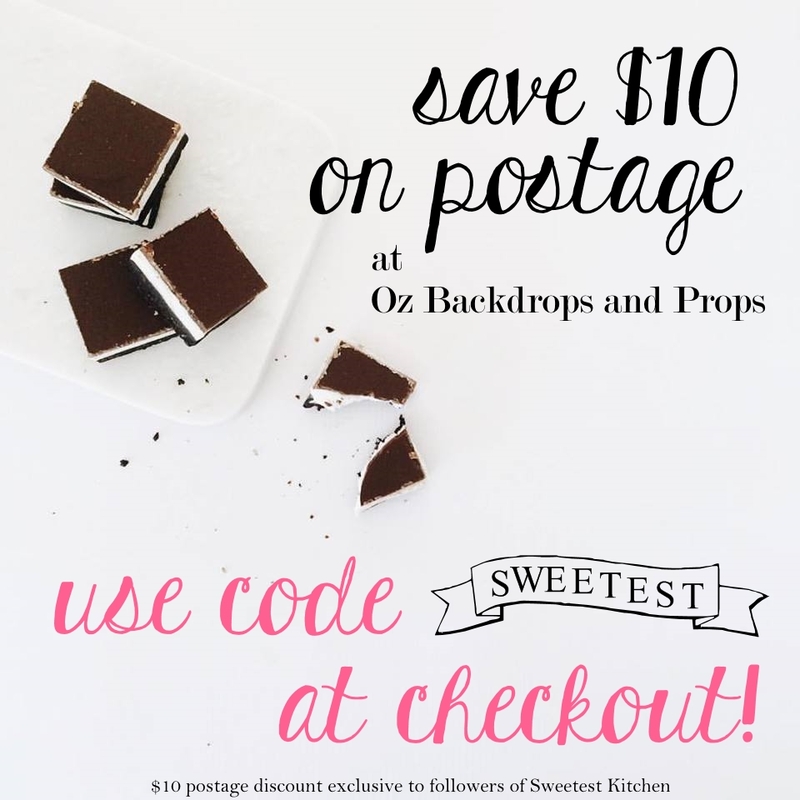 But before you head on to the recipe, here’s a little tip. If you happen to have leftover hot chocolate from this recipe, as I did, it tastes amazing frozen as well. 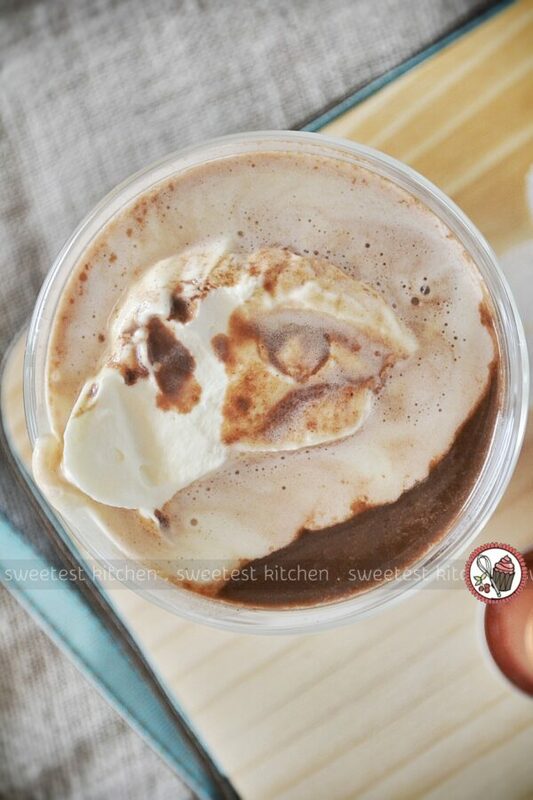 Think of it as a frozen hot chocolate! The perfect way to warm up on a cold, wintry day - cinnamon hot chocolate with a shot of espresso! Place the milk and cinnamon stick in a saucepan and gently bring to a simmer. Remove from heat and set aside for 10 minutes to allow the cinnamon to infuse. Sift the cocoa powder into a small heatproof bowl. Add 3 tablespoons of the warm cinnamon-infused milk and stir until a smooth paste is formed. Remove the cinnamon stick from the remaining milk and place the saucepan over low heat. Add the cocoa powder paste and chopped chocolate and whisk for 5 minutes, or just until the chocolate has melted and the mixture is smooth and well-combined. Transfer to a serving jug. 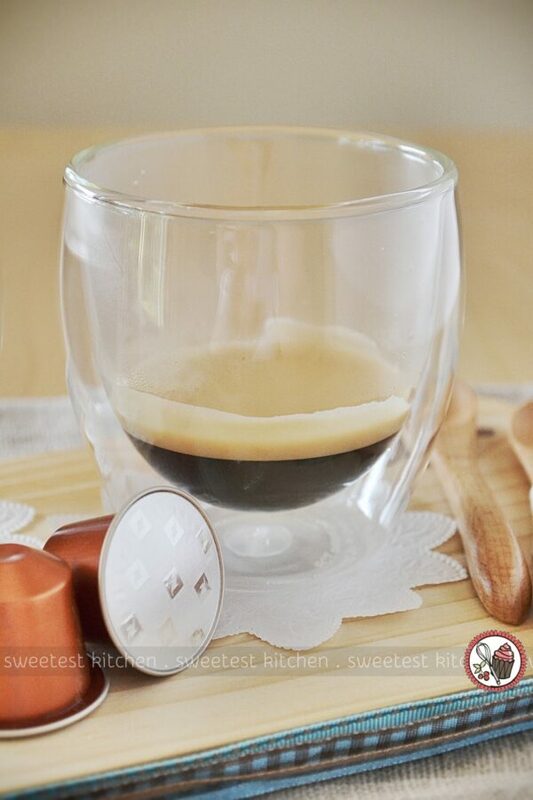 Extract the 3 Nespresso capsules into each of 3 serving glasses or mugs (1 capsule per glass). 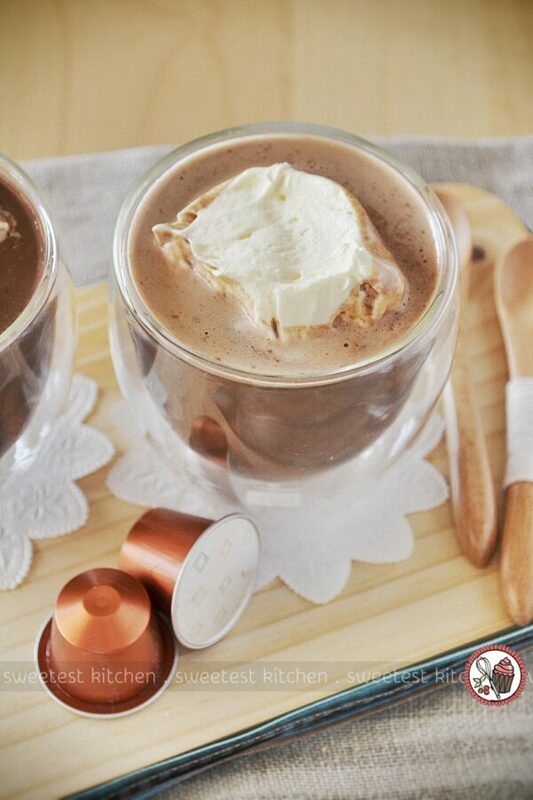 Top up the glass with the hot chocolate and serve immediately with whipped cream if desired.